Now is a great time to remodel your home! At Sierra Restoration, we are licensed general contractors and are ready to help you bring your dreams to life. Whether you are looking to increase your home’s resale value, need to make more room, or want to update your kitchen or bath, we can help! Kitchens and bathrooms are two of the most common areas remodeled in a home. At Sierra Restoration, our professional design team will help you select the design and materials for your new kitchen or bath and can help you make the most of your space. We will work with you and your budget to give you the kitchen or bathroom of your dreams! When you have outgrown your current home or would like to create additional space by finishing your basement or adding on or extending your home, Sierra Restoration is here to help! We are qualified and licensed general contractors and can handle any size construction project. Cal us today to discuss your project. 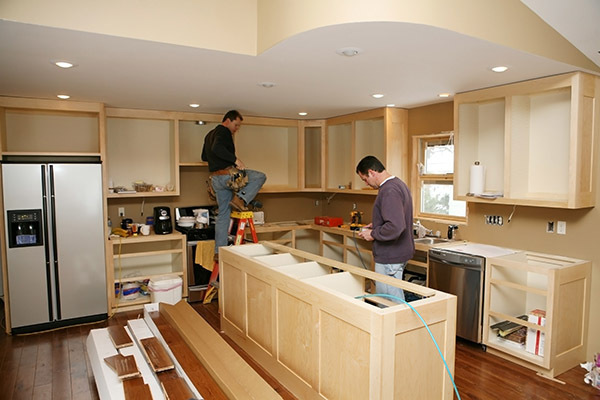 Sierra Restoration has been providing remodeling services in Cache Valley and the surrounding communities since 2010. We have helped a countless number of homeowners turn their home into their dream home and would love to discuss your next project with you. Contact us today!